Last time I promised a bigger world, and starting with animations. It seems I forgot a very important feature: moving platforms! 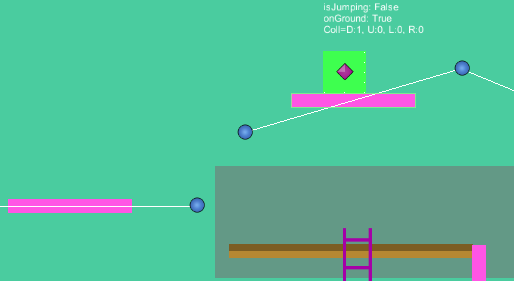 * The platform can currently only handle one colliding object. If two or more entities touch the platform very strange behaviour will occur. * You can fall through a platform if you fall downwards and it moves upward at larger speeds. Next time: Platform bug fixes and then performance on big worlds and animations.